Thinfilm is a leading provider of roll-to-roll printed, rewritable non-volatile memory products. That was a mouthful so your probably wondering what exactly does that mean. The company is headquartered in Sweden but spun out of the infamous PARC (Palo Alto Research Center) and have invented a technology that marries transistors with memory. This means it is a low cost way to print memory like you have in your computer. This printed memory can be read, written, and small amounts of data can be proccessed. Below is a picture of the memory printed on a thin film. The black dots are the memory and the copper colored traces are conductive material connecting them. As you can see in the picture since the memory is printed on a thin film it is highly flexible. Today Thinfilm announced they will be selling development kits for the technology at Inventables. 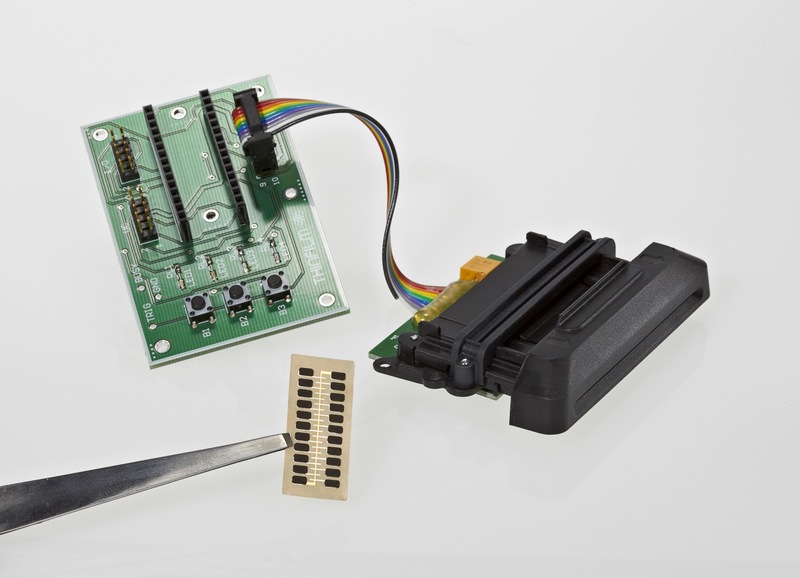 The developers’ kit provides designers with the tools they need to experiment with the printed memory stickers. Each Thinfilm Memory™ sticker costs about 5-cents apiece in volume and each sticker contains 20 bits of data, corresponding to a lookup table that can store more than a million entries. 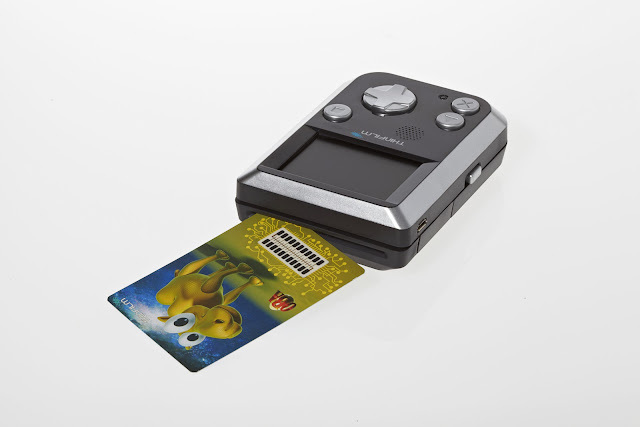 The OBA game below demonstrates Thinfilm’s rewriteable memories for interactive toys and games and is used to access the Thinfilm printed and rewritable memory cards. It acts as a bridge or connector between the online game and a downloadable version that can be played on the hand-held device when you are not online. Through the game levels you evolve the Oba inhabitants and mature their capabilities and powers. The goal is to save the dying Oba Solar Systems. 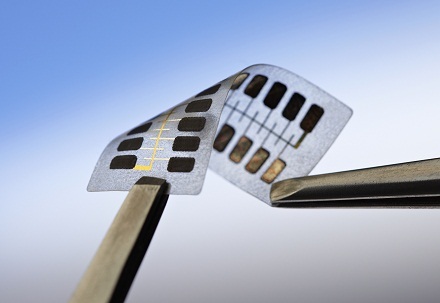 Thinfilm CEO Davor Sutija is interested in integrating this technology with sensors and other printed electronics. To understand how this could work he explains: "You can see if a sensor has hit a particular threshold and record the number of times in memory."